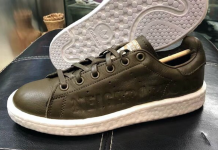 It appears that the Stan Smith silhouette is going to be 2014’s “Classic Leather”, with a seemingly exponential flow of new collabs coming day after day. 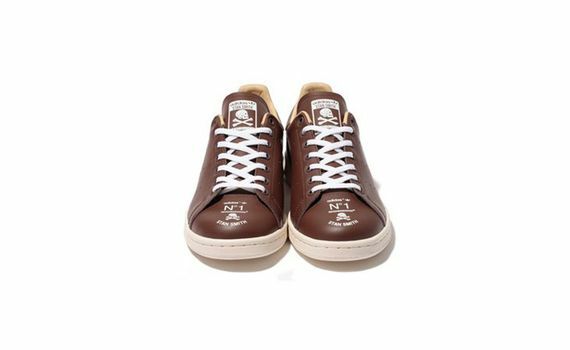 The latest to hop on these retro’d classics are the folks at Neighborhood, and their skull and cross bones have taken over the space reserved for our mustached friend Stan. Brown leather adorns these classics while a lighter beige makes an appearance via the inner lining. 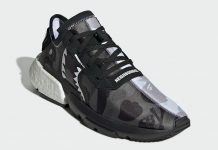 No news as to where all these will pop up but some places are seeing them already.